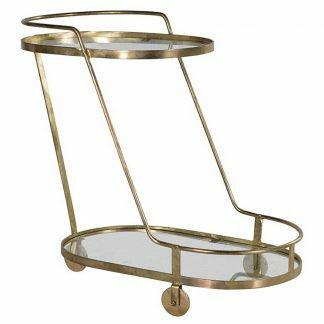 This simple but sleek REtro buffet cart is a fantastic 2-tiered storage cart in a vintage brass finish with glass shelves and casters for easy mobility. 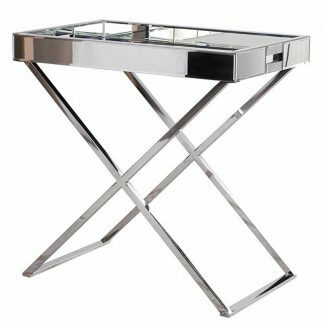 It is the perfect item for outdoor entertaining and for serving holiday meals in your dining room. 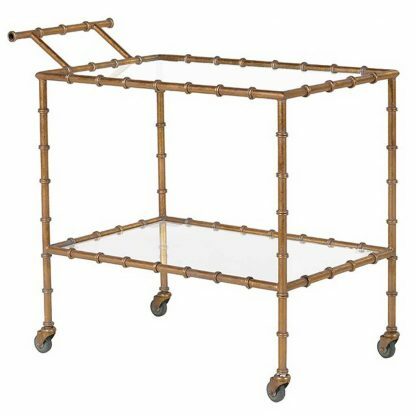 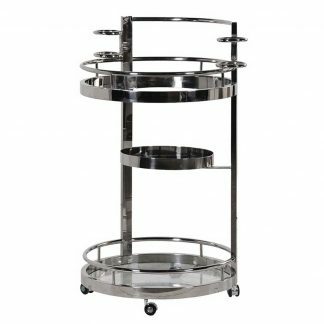 Give your room a retro feel with this rectangle, transitional buffet cart.